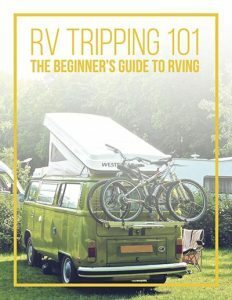 Camping—for some, it is an enjoyable summer activity; for others it is a way of life. 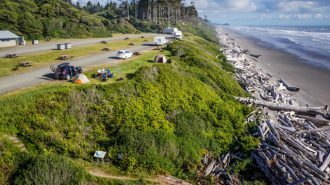 Regardless of whether you pitch a tent for a weekend, or spend your season hiking one of the many trails only attempted by the most dedicated, you can increase your chances of satisfaction and success by bringing appropriate accessories. 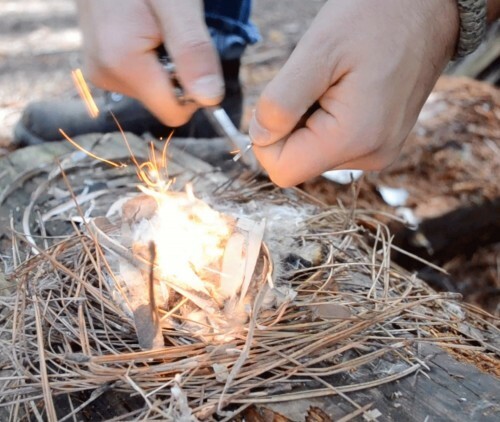 Start a campfire easily with a waterproof lighter or bring an extra blanket that fits in your pocket. 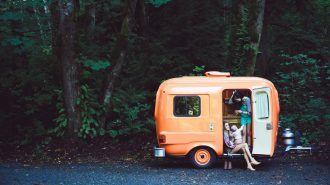 Whether your idea of camping is a 40-foot motorhome or a sleeping bag under the stars, these fun accessories can take the experience to the next level. 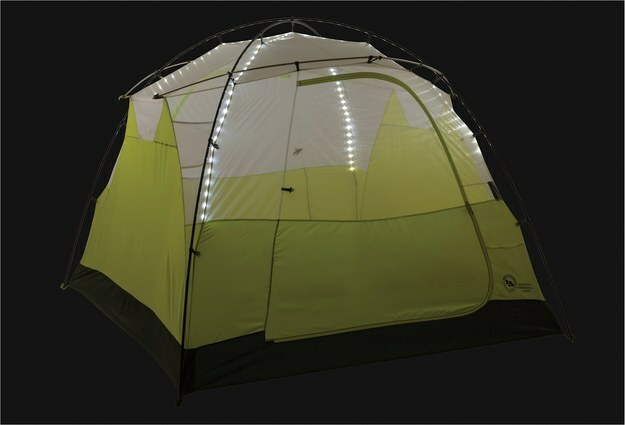 The Big Agnes Gipin Falls 4 Mtn GLO tent provides additional illumination and ambience with built-in LED battery powered lights. The Aeros pillow deflates to a size that can fit in your pocket or in a pocket of your backpack. 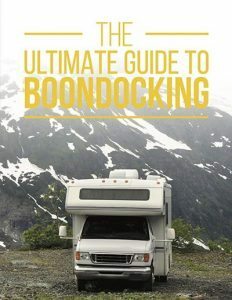 This makes it a great choice if you will be hiking and moving your campsite regularly. 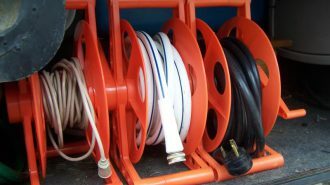 It’s also a welcome accessory to keep in your motorhome for unexpected overnight guests, or in your car for napping passengers. 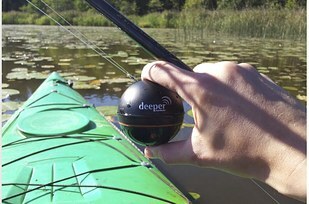 Waterproof speakers enable you to listen to music at the beach, on the river, or whenever you anticipate rain. The Outdoor Tech Giant Turtle Shell speaker will not only play up to 16 hours, it will also charge your other electronics. 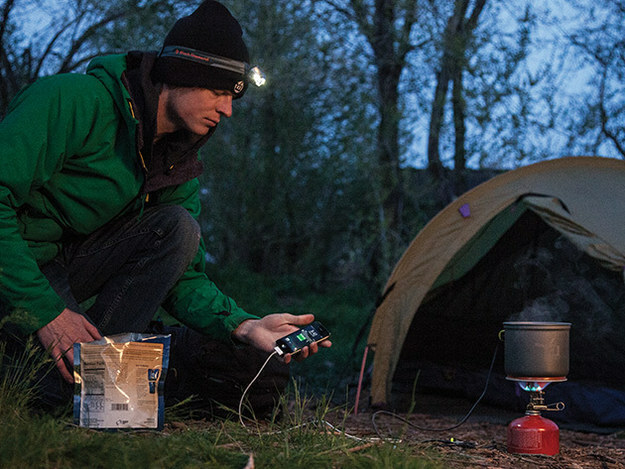 While collapsed, hang the LuminAid Lantern out in the sun and let it charge. 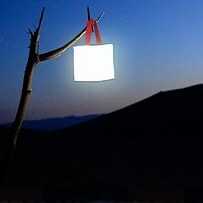 When it gets dark, expand the lantern, hang it and enjoy. The Spinning Hat Picnic blanket provides its own speakers to add music to the soundtrack of the day. 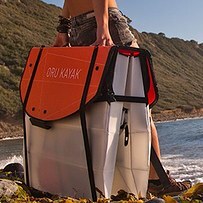 The Oru kayak collapses to a size that easily fits within a car or stowed in the “garage” of a camper for effortless transporting. 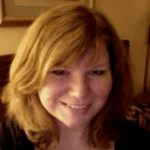 It expands to full size and works well for experts and amateurs. A The Wacaco Minipresso is a portable espresso maker for enjoying your favorite morning beverage while camping. 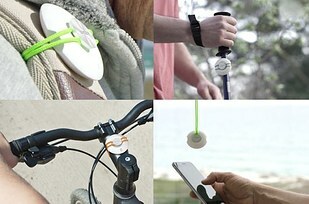 This wearable weather-sensing apparatus provides up to date information. 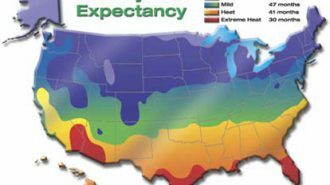 When you program in your location and your destination, it alerts you to what types of weather you will face on your trip. 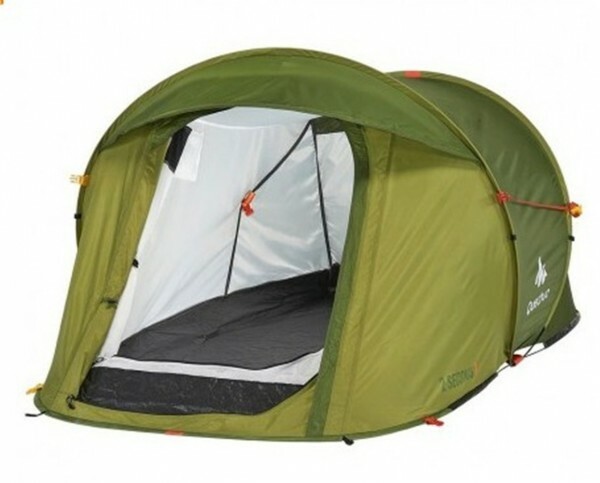 A hanging tent is a great choice when you are camping in a potentially dangerous environment. 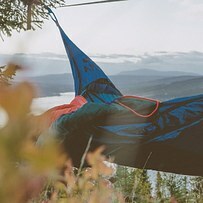 The Draumr tent and hammock in one keeps you off the ground and away from snakes and predators. 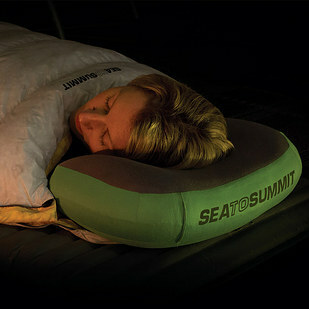 Plus, it is more comfortable than sleeping on a rock. Lighted tent stakes make setting up in the dark a breeze. 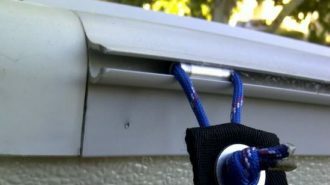 They also minimize the chance of someone stumbling over them during the night. 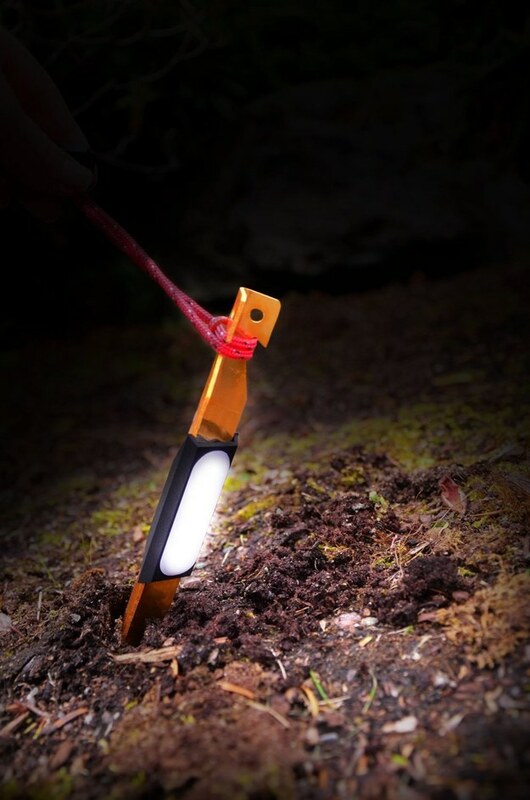 The UCO Stakelight Tent Stake has a built in LED light and emergency strobe. 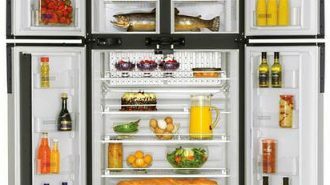 Basically following the same principle as a refrigerator light, it also serves the same purpose. 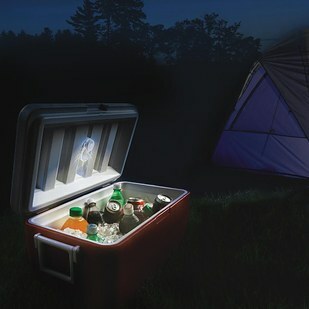 The Coghlan’s Cooler light illuminates the interior of your cooler so you find a snack even in the middle of the night. Setting up this tent is a one-person job. The DECATHLON tent literally takes seconds to sets up. 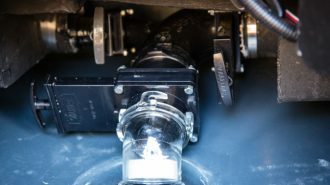 This Smart Fishfinder has a range of 1.5-feet to 130-feet and shows everything from the surface to the bottom of the body of water in which it is being used. 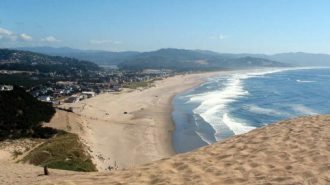 If you know where the fish are, your odds of catching some are greatly improved. Collapsible cookware and dinnerware make it easier to pack the necessities in a smaller space. This is essential when you are backpacking and need to carry everything with you. 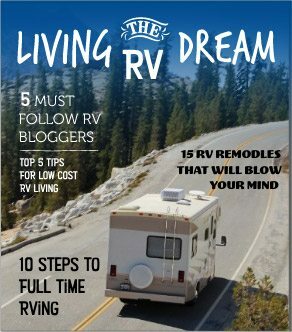 It is also handy for RV use where storage space is limited. The Sea to Summit 2.8 Liter Cooking pot takes up minimal space and weighs only 10 ounces. 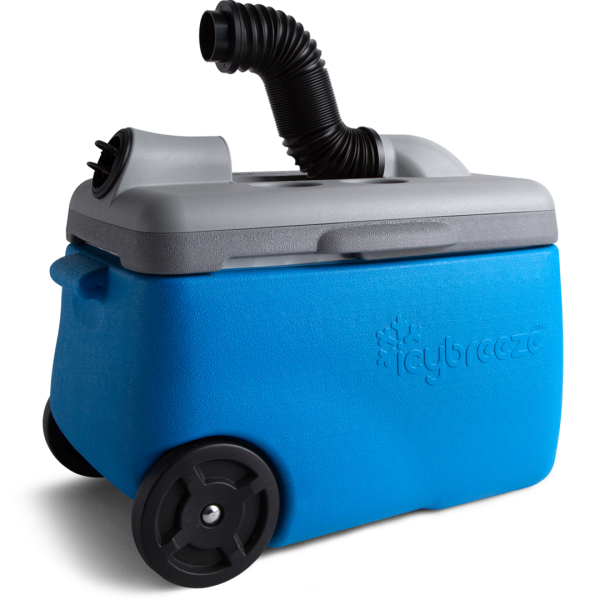 A portable shower enables you to clean up wherever you are. You are in the middle of the wilderness? You can still take a shower. 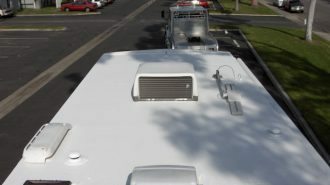 The Road Shower uses solar power to heat the water and conveniently attaches to the roof of your car for easy transportation and use. 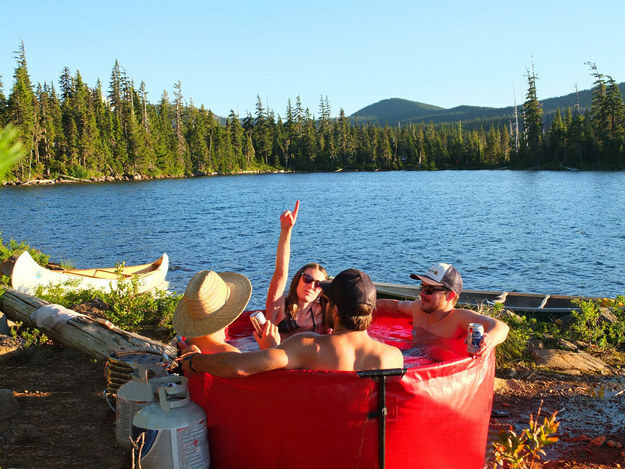 At last, there is a portable hot tub. 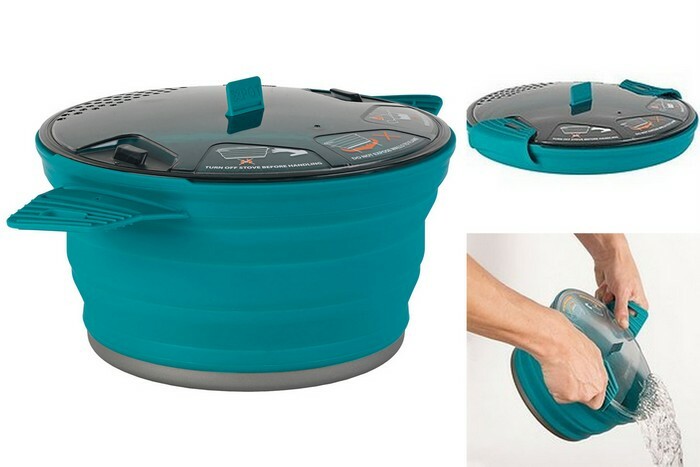 The Nomad collapsible tub uses propane to heat the water to a comfortable temperature. 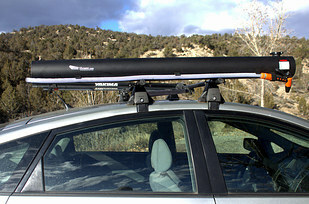 Since it is collapsible, it doesn’t take up much space in between uses and it is easily taken anywhere. It’s a boat! 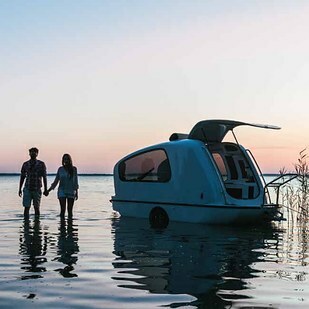 No, it’s a camper! With this pull-behind from Sealander you get both. It unfolds to a full sized blanket. 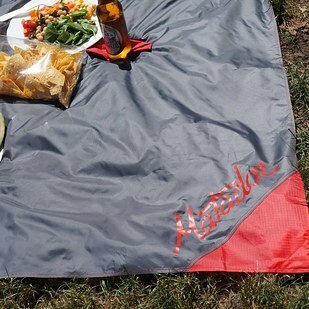 And then it folds to a size easily stowed out of the way in a backpack or even in a pocket. 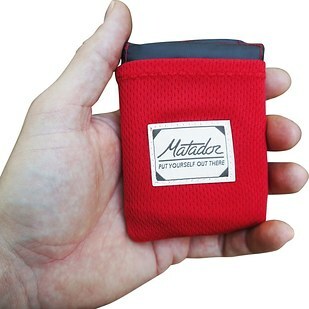 When hiking, having an extra blanket such as the Matador Pocket Blanket could make the difference between life and death. It works sort of like a walkie-talkie, but with text messaging. 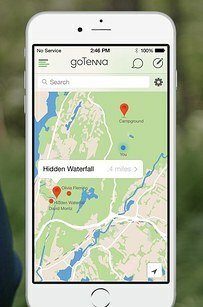 The GoTenna provides two devices and you can communicate one device to the other via text, even when there is no cell service. 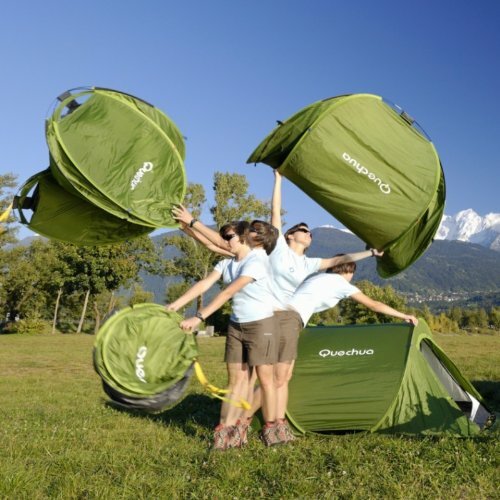 Owning an inflatable tent means never needing to struggle with overly flexible tent poles again. With a hand pump, or even an electronic one, the Gentletent is up in a flash. 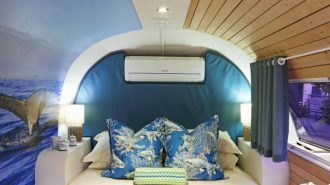 This Icy Breeze Cooler has a built-in fan. 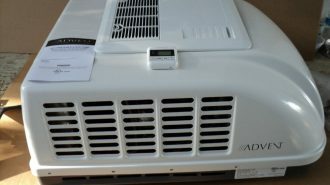 It turns the cooler into a small air conditioner that puts out enough air to keep the interior of a tent comfortable. They look like regular shoelaces. 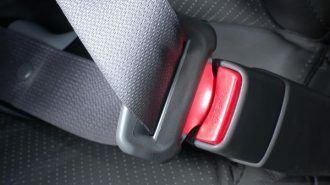 The rubber ends, however, hold tiny striking rods. 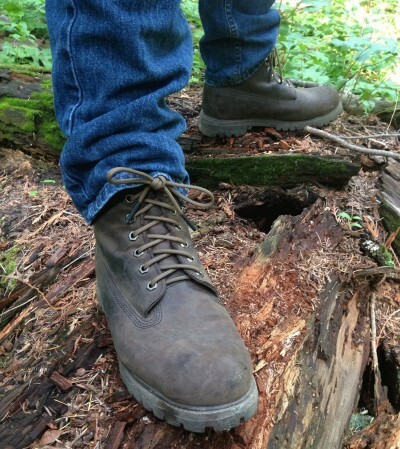 One strike of the Survival Flint Laces produces enough spark to start your campfire. 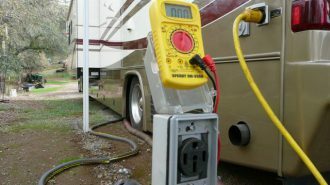 Power sources aren’t always easy to get to — if they are accessible at all. 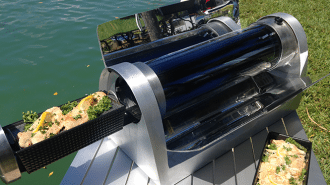 This Power Pot Cooking Pot & Charger Combo is perfect for charging electronic devices after the sun has gone done and solar power is no longer an option. 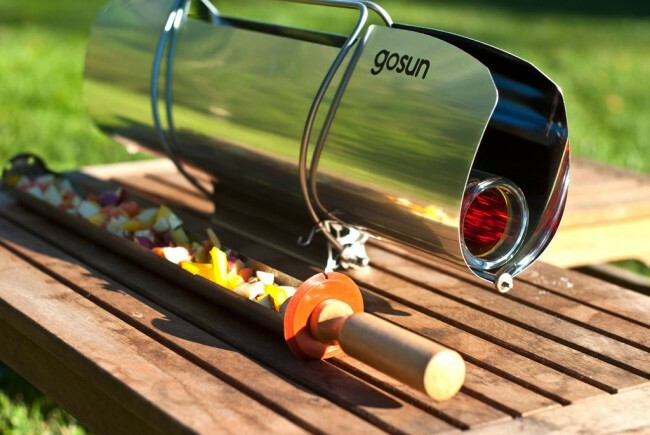 The GoSun Stove cooks your food when you don’t want to hassle with starting a campfire. 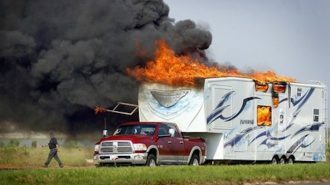 It is safer than a fire, and cleaner as well. 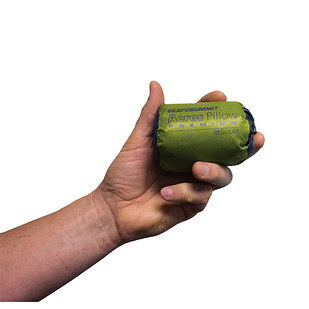 You no longer have to spray yourself with poisonous bug repellent to avoid mosquito bites when you use the Thermacell Mosquito Repelling Lantern. Never fight with wet matches or a water-logged lighter again. 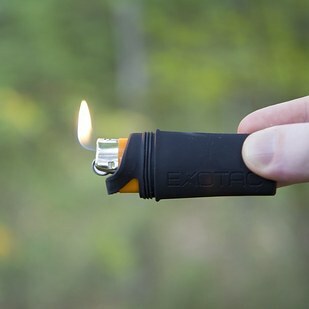 The Exotac covers any typical lighter to protect it from getting wet due to heavy rain or being dropped in a lake ensuring that, whatever else happens, at least you can get a fire started. When getting to a power source isn’t an option, consider a hand crank to get your phone’s battery charged. 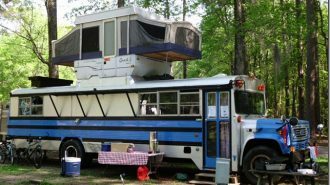 That’s roughing it. 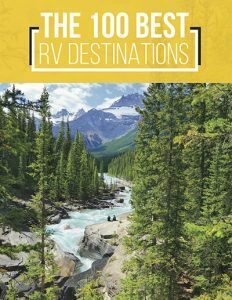 Although none of these items are absolutely necessary, most of them can make your next camping trip more enjoyable, or at least less of an effort. 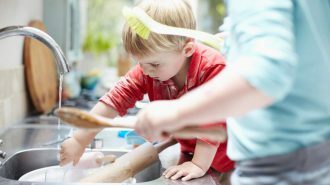 Spend less time struggling with the basics and more time having fun. If you found any of these items clever or inspiring, please share with any like-minded friends or family members. They’ll be sure to thank you.